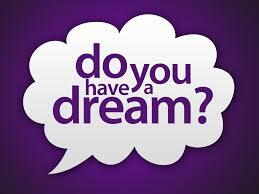 Do you have a dream? Does your dream have a voice? What the heck does it mean to have a dream that reflects your voice? I know that for a very long time I was annoyed by such questions. I can still remember the incensed eye roll I would project each time someone asked me any version of those questions. I felt I was too busy striving to be successful to even contemplate such ridiculous, time-wasting, explorations. I realized recently that when I stopped being annoyed at the questions was the same time I had begun to sculpt answers to those questions about my own life. Let me share some of the things I found. Although I have not succeeded in finding the origin of the phrase ‘finding your voice’ in psychology or personal development, I can share the essence of the meaning. To ‘find your voice’ means you have found something you enjoy doing, do well, and like to share with others. It is how and who you present to the world when you are enjoying your life the most. Finding your voice is one of the central themes of my latest Don’t Die book. From my perspective, finding your voice is only Step 1 on the long journey to becoming who you are meant to be in this lifetime. Step 2 is a bit harder. Step 2 is when you begin to mind your voice. You don’t just know what you stand for, but you are willing to take action to support the voice you have found. Your voice is in integrity with your actions. Finding your voice is ‘becoming willing to talk’ (1). Why bother to take this long trip at all? Because at the end of the journey you will find that you love the person you have become. When you love the person you have become, you have achieved success by every standard. Maybe more importantly, you have released yourself from the standards of success you believed others had set for you. That is why you should not wait to be brave enough to love yourself. I have a pet peeve that comes to the surface when someone tells me they are going to “try” to make some change in their life. My usual comeback is, “trying’s not doing.” But when it comes to living life and forging your own path, trying is the first doing because that is when you stop saying you’re going to try and actually try, even in the face of potential failure. Dr. Success Challenge: Become willing to talk about something you believe in deeply, yet have stopped yourself from sharing. Try to mind your voice this week.